Can you believe it? It's already time for the Elle's Studio March Kit and Design Team Inspiration Gallery Reveal! 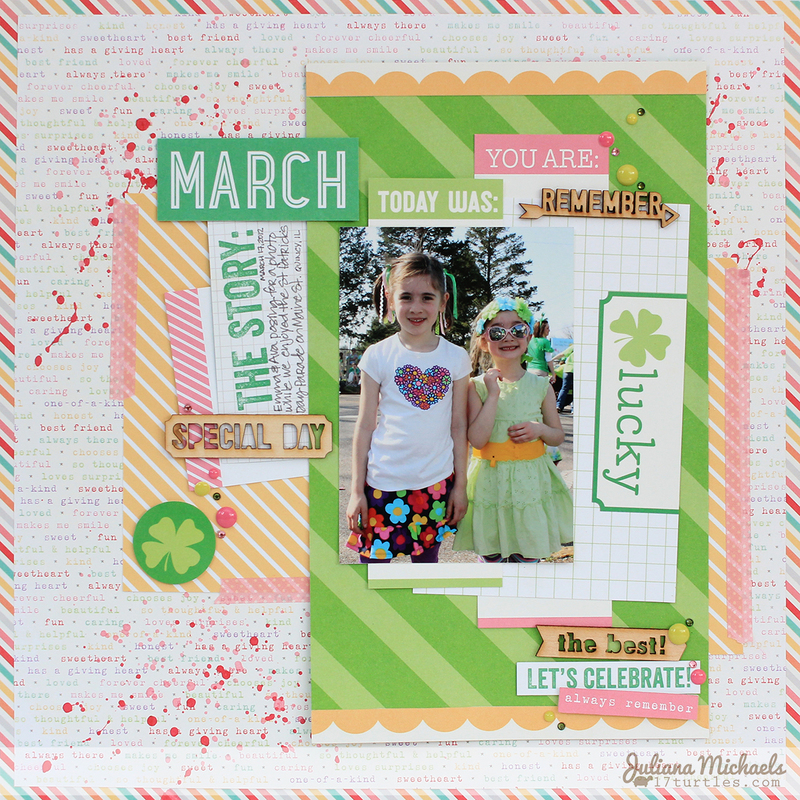 The March Kit includes some fabulous March themed die cuts that you can use on a wide variety of projects, including cards, tags, and scrapbook pages. It also has some great St. Patrick's Day themed ones that I thought were ideal to use with this photo of my niece's enjoying the St. Patrick's Day Parade. 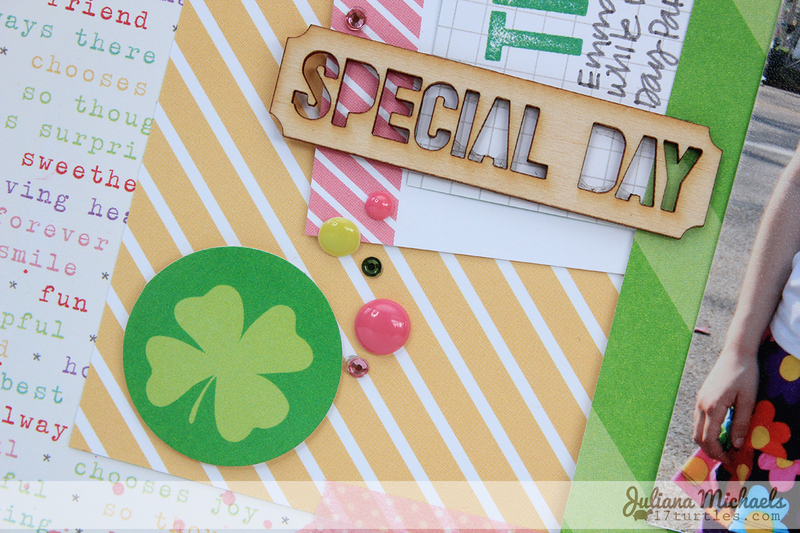 Along with the March Kit, I used a variety of Elle's Studio Wood Veneer to further embellish my scrapbook page. 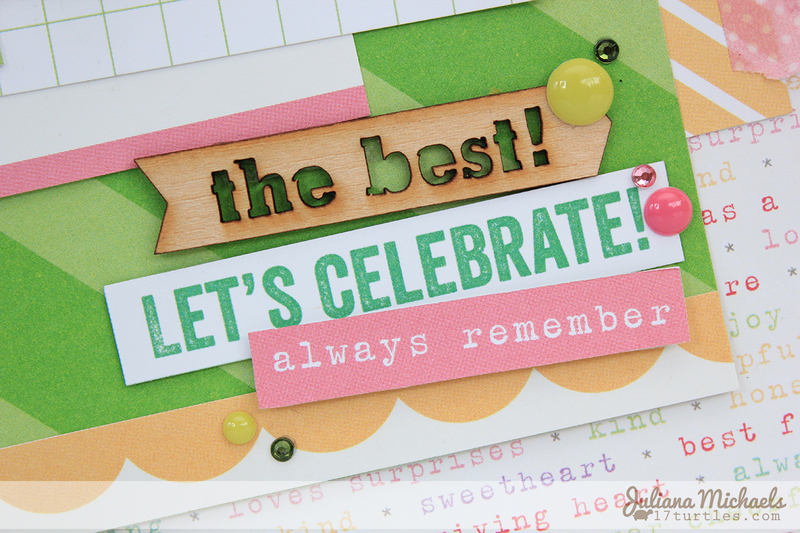 Thanks for stopping by today and I hope you will visit the Elle's Studio Design Team Inspiration Gallery to see what the other designers have created and shared to inspire you this month! This pages is very cute! Sweet page! The strips of washi are perfect! Who knows peach pink and green will go so well together ? Very nice layout ! So cute, Juliana!! I love the Green with the Pink and Yellow! !